5 Benefits of Adding a Fire Pit to Your Backyard A backyard fire pit is something that can offer both many years of enjoyment for your family, and a lovely living space to your yard when entertaining. 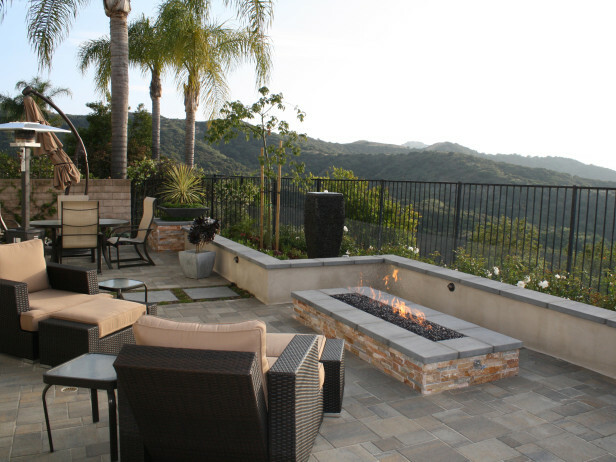 Enlisting a Los Angeles remodeling company to help you figure out the best placement, materials and style for your backyard fire pit can take a lot of the guesswork out of the process. Below are 5 benefits of adding a fire pit to your backyard. Enjoy the Warm Season Longer The combination of warmth and light from a backyard fire pit allows for outdoor enjoyment even when the air is a little chilly. In fact, outdoor gas fire pits produce even more heat than wood burning stoves. Enjoy the patio or yard later into the fall or earlier in the spring by bundling up around the fire and relaxing with family and friends. You may even be able to enjoy the outdoor warmth of this space well into winter, depending on where you live. Conversation Starter Many of us have great memories of sitting around the fire while camping or at the beach, and telling stories, roasting s’mores and enjoying beverages. A backyard fire pit allows for these memorable experiences at home, serving as a focal point for social gatherings and parties. The ability to relax into the evening in comfort is a natural catalyst for enjoyable conversation. Increase Your Property’s Market Value Stone outdoor fire pits enhance existing space by adding visual aesthetic to your property, as well as general appeal. They open an outdoor space for year-round use and are a consistently popular outdoor feature among buyers. In fact, you’d be hard pressed to find someone who doesn’t get excited about the idea of their very own backyard fire pit. This is a wonderful way to increase your home’s market value. Avoid Smoke The normal downfall to a campfire or beach bonfire? Smoke! It irritates eyes, nostrils and can cause health issues in airways. And while many people love the nostalgic scent, it tends to linger in hair, clothing, and other materials. Outdoor fire pits can easily use natural or propane gas, which doesn’t emit the same heavy smoke we’re all used to. Low Maintenance Natural gas or propane fire pits offer style and heat with very little upkeep. As opposed to wood burning stoves or fire pits, natural gas or propane fire pits do not require you to chop or provide wood. They do not attract insects in the same way wood burning fire pits do, and do not require the same level of constant cleaning around the area. Natural gas fire pits never run out of gas as they rely on an installed gas line; talk to your Los Angeles remodeling contractor about whether your backyard offers an effortless way to install a natural gas line. If you’re thinking of installing a backyard fire pit, be sure to call on professionals to help you sort out the options. There are plenty of styles to choose from to complement your home’s backyard and allow you to comfortably start enjoying the outdoors a little more. Why scatter unnecessary items all over your limited space, when you can strategically arrange them in a nicely structured manner on a wall? Items like lamps, lights and shelving hooks can be wall mounted, leaving floor space to essential, bigger items such as tables and the bed. Darker colors make the room feel a lot cozier, but they absorb light instead of reflecting it, making the room feel a lot smaller than it already is. Similarly, going for brighter or pale colors makes the room appear light and airy. Your walls may be painted in a manner that incorporates one bright color in different shades. Leave your windows uncovered as this will trick the eye into thinking that the room has more depth. Regardless of how creative you may be with your room, it may still appear cramped one way or another. This is where mirrors come in. Mirrors create exemplary illusions. 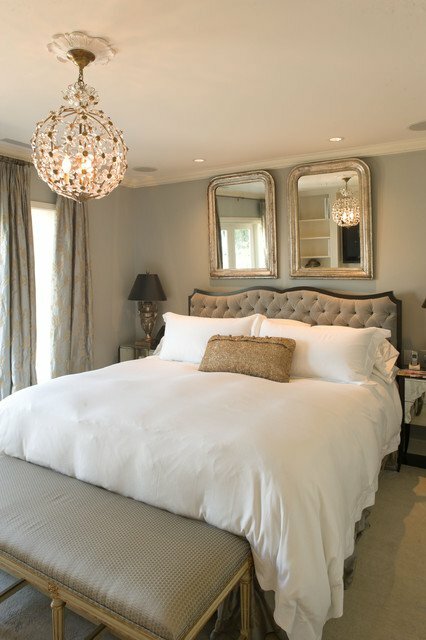 Once you have an arrangement for your room, you could incorporate mirrors on opposite walls such that they face each other. The mirrors will establish a statement, creating an illusion that is very effective as it gives the room a spacious look with its window-like effect. A small room will appear much larger provided you adopt shelves and cupboards that run from the floor all the way up to the ceiling. The long vertical lines created by this furniture gives a great illusion of space. Going for a King-sized bed is wonderful, but a small bedside table to match will give your room a confused demeanor. Opt for more streamlined furniture that are similar in scale, for the uniformity of the room. 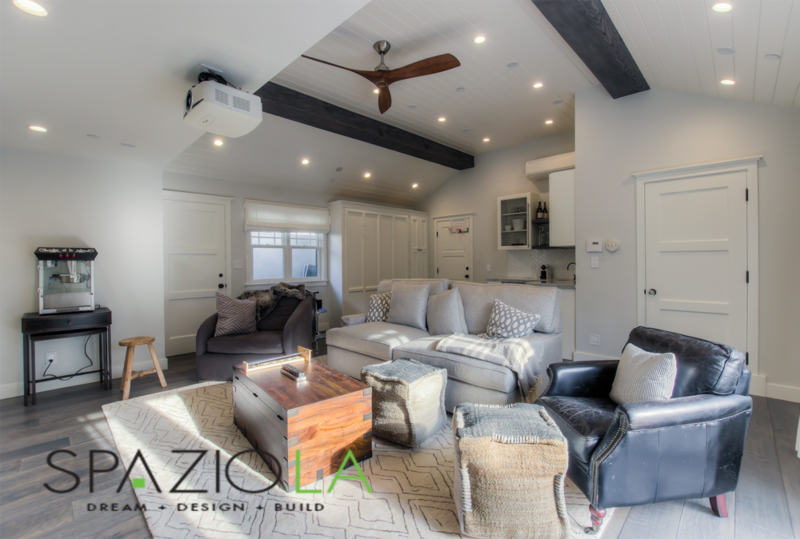 Sure, bright colors on walls are a great way to make the room feel larger and airy, but when it comes to the ceiling, you might want to go for a darker color, as this creates depth. Furthermore, adventurous fixtures are more likely to draw your eyes upward. The key here is, anything that can keep the eyes shifting up, is going to make the room seem larger. Doorways may look like a straight forward place to shift your furniture to, but it may not always work out in your favor. Moving your furniture to doorways or walkways will disintegrate an otherwise perfect arrangement of the furniture. The bedroom is much more functional and bigger when all the furniture is clear of any paths leading to the bedroom door. The paths in the kitchen should allow easy movement and reach of appliances, working surfaces, and other items in the room. Having paths that are at least 36 inches in width ensures that you can move from one point to another. In case of the cooking zone, you can have the paths designed to be 42 inches or something close to that for a one-cook space. If the cooking zone needs to accommodate two cooks, then a 48-inch-wide path is more appropriate. When working in the kitchen, you will need easy access of items. So, think about where and how you will use the items. You may want to store breakfast foods and utensils close to the breakfast table. The dishware and flatware should be located near the dishwashing machine to ensure ease of unloading. Again, you can have plastic containers and wraps kept in a suitable spot close to the work surface to make it easy when wrapping leftovers. There are other people who will occasionally enter the kitchen, for example, children. When designing your kitchen, ensure it is kid-friendly. You may want to keep your cooktop away from traffic areas to prevent kids from catching handles, something that may result in unwanted spills over the surfaces. The refrigerator should also be accessible by those who cook and clean up the dishes as well as by other people. In designing your kitchen, you may want to allow 15 inches of landing space on sides of refrigerator and cooktop. The same may apply for microwave because you need space to use when working with this appliance. This way, you don’t have to make too many steps trying to reach out for items you are using. You may think that the corners can make an additional storage space in your kitchen. However, when you plan the design of your kitchen, stay clear of the corners. You should allow sufficient door clearance and swinging. Don’t place appliances on the corners and ensure the doors aren’t banging into one another if they are opened at the same time. The way you design your kitchen can make or break your experience when working in this space. 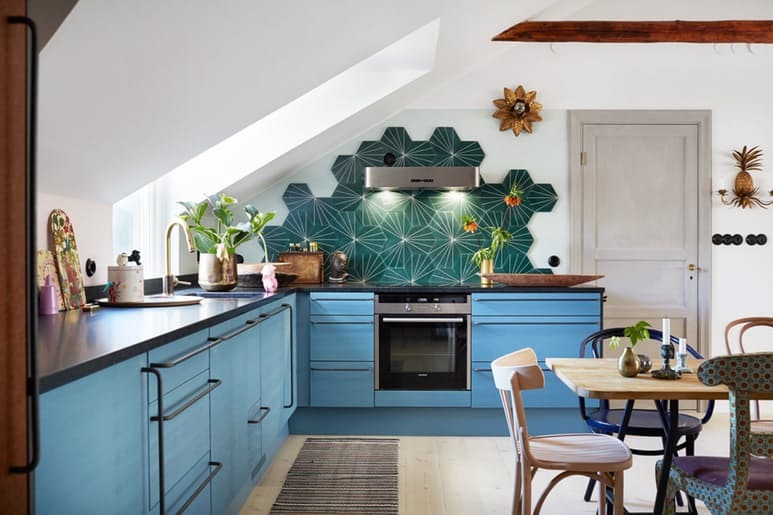 Using the above kitchen design tips can make your space functional and minimize the amount of time and effort you make when working in the area. In your next kitchen remodeling project, you can incorporate these tips to make sure you and your family enjoy working in the kitchen. 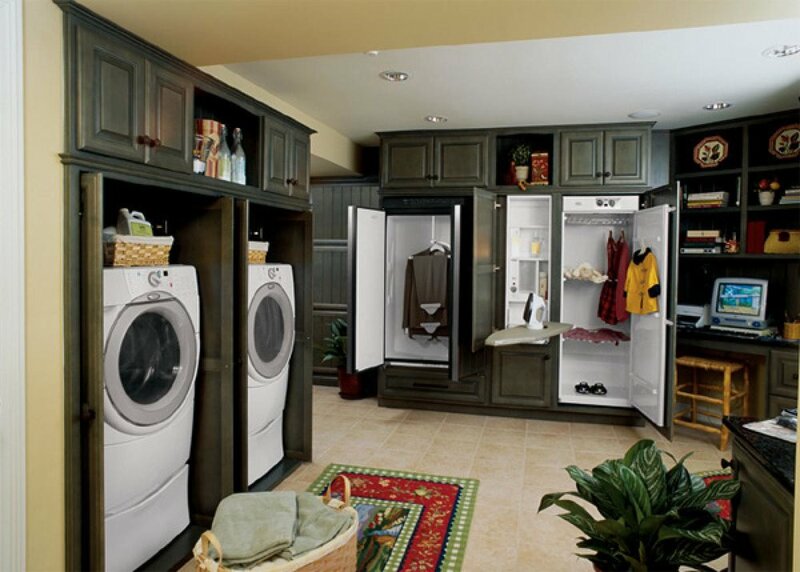 As many of us know, pretty much everything we use in our homes must be replaced at one time or another. Small appliances, for example, tend to last around 6-8 years, while larger ones can last upwards of 10 if we’re lucky. Many permanent fixtures in the home must be replaced over time as well, and flooring is no different. There are several reasons to do this and it’s helpful to know when the right time is for you. If there is carpet in your home, it’s a good idea to consider replacing it every 8-10 years. Age-related wear and tear is a common reason to replace carpet, as it accumulates stains from families and pets, and over time it can end up containing elevated levels of allergens such as pet dander, mold, mildew and pollen tracked in from outside. If your white carpet has turned yellow, it could be caused by off gassing of rubber padding beneath the carpet itself and need replacement. If considering selling your home, new carpet is something to consider as it will do wonders for the home’s overall aesthetic and make it more appealing to potential buyers. Vinyl and linoleum floors are known for their durability and affordability. These are great options to consider as long as you know when to replace. Many people opt to replace this flooring when moving into a new home as it can appear outdated. Although durable, one downside to these types of flooring is that they can be punctured by pressure from everyday items like chairs or even high heels, and dropping objects on them by accident can cause areas of damage as well. It’s a good idea to consider replacing these floors every 10 years. Any type of water damage before then can demand replacement as well. Tile is a great option to consider when undergoing bathroom remodeling, for example, or when replacing flooring in your kitchen or hallway. Tile is extremely durable and long-lasting, which ensures that it will look good in your home for years to come. It is easy to clean and requires little upkeep, which is why it is a good option for bathrooms in particular. Countless styles and combination possibilities make tile useful for making a room appear more spacious or closed in, depending on what aesthetic you’re going for. This type of flooring can also up the property value of your home. Tile typically lasts a very long time depending on what type you choose. Some tile materials, such as glazed ceramic, porcelain or terra cotta can last up to 50 years. Looking for something that will last as long as possible? There are a few flooring materials that can last a lifetime, according to the National Association of Home Builders. These include all wooden floors, such as bamboo, exotic wood, and other domestic wood. Contact a Los Angeles remodeling company to find out where and if these types of flooring will work best in your home. Decorating Your Home for Spring: What Are the Contemporary Trends? If you’ve finished your spring cleaning this year and are ready for some interior revamping, here are some great ideas to consider when it comes to further freshening up your home. Whether you’re going for a total interior overhaul or just seeking to brighten up a space, look no further for this spring’s current trends. A new take on outdated floral patterns, watercolor florals incorporate fresh spring colors with larger scale designs. 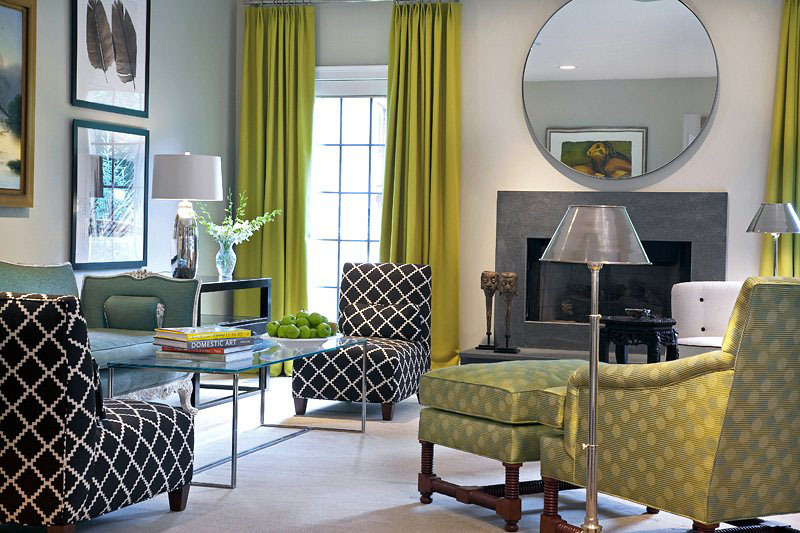 Add splashes of color to a room by giving this trend a try with throws, pillows, or new curtains for the windows. Go bold with bright colors, or employ romantic pastels like lavender, slate grey, soft green, and orchid pink for a gentler look and feel. Sometimes a few new plants can breathe life into any room without having to make any other major changes. Climbing vines that naturally weave around shelving or hang becomingly from creative wall planters are surging in popularity this spring. An added benefit? These plants serve to purify indoor air, as well. Metallic accents, particularly when mixed with glass or ceramics, are showing up everywhere this spring - from plates and glasses to terrariums to bar carts. Copper in particular is a trend that’s going strong throughout the year. If you happen to be undertaking kitchen remodeling this spring, consider copper light fixtures for on-trend glimmer. Lower budget projects can embody this trend too with the DIY use of a little metallic spray paint. This trend is popping up in spring but will serve you and your family year-round. Surprisingly, heated floors use less energy than other means of heating and are an efficient way to heat up the entire home. Enjoy them as the spring chill fades and again when autumn rolls around. 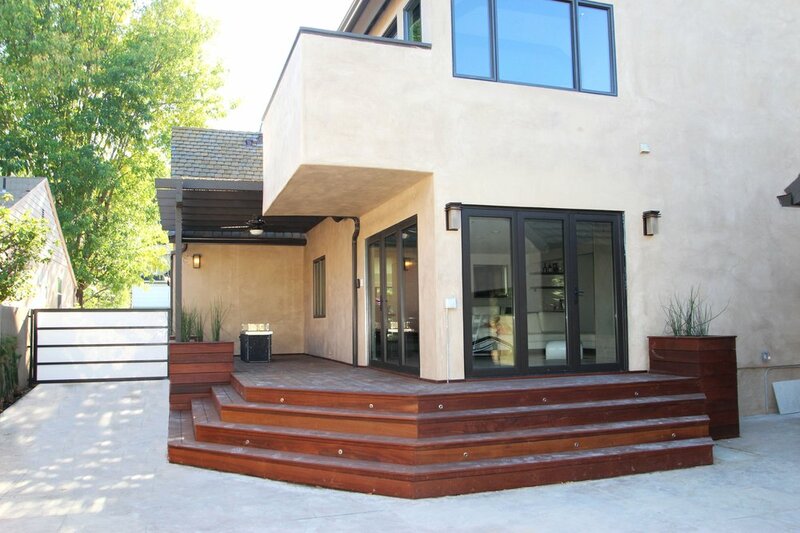 Talk to your Los Angeles remodeling contractor about how to best implement this energy-saving trend in your home. This classic aesthetic is known for its elegance and durability. Use marble as a lovely countertop material when remodeling your kitchen. Or, use marble print wallpaper to line your walls; a surprising trend that lends itself to a classically soft, clean look in any space. This deep hue may not seem like a spring color, but when paired with classic white it offers a fresh look that’s perfect for every season. Consider reupholstering a piece of furniture with navy fabric, or painting a well-lit wall for a modern twist. From chunky knits to tassels, texture is a spring trend that doesn’t just apply to fashion. Mixing fabrics and textures indoors is a fantastic way to make a room look and feel more inviting and comfortable. Easy ways to implement this trend? Mix pillows of different fabrics when displaying them on your couch, or try draping a chunky knit throw over a smooth leather chair. Implement all or a just a few of these spring looks to enjoy on-trend home accents, the rest of the year and beyond. 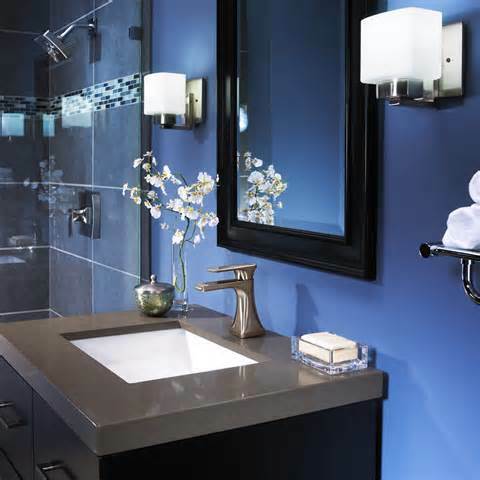 When approaching bathroom remodeling head on, keep in mind that this is your personalized space. Most guests will be entertained with the family room, the living room, the kitchen and at length the bedroom, but the bathroom is for you. If you're remodeling it, it needs to be changed in a fashion that best fits your comforts, your needs, and your taste. You need to be prepared for it. Below are four things you need to know before remodeling your bathroom to make sure everything goes smoothly and according to plan. Bathrooms are sensitive areas; you don't want to go half-finished with a bathroom. Perhaps a bit taken for granted, but establishing a budget before undertaking such a large project is crucial. Consult your Los Angeles remodeling contractor first to get a grasp on how much your new bathroom will cost you, then see what can be done to adjust the price to fit your budget and your ideal bathroom setup. You may not get everything on your wish list, but having a clear goal is better than stepping off that financial cliff at the end. This is the main course of the remodel! Establishing the styling, materials, and layout of your new bathroom is the best part of the process, but ironing out every kink takes time, dedication, and some creativity. From tiling to windows, what kind of tub or shower you'll have, the floor plan needs to be meticulously laid out at the start. You might be able to squeeze a tweak or two in during process, but wandering too far off script spells disaster if you're not careful. 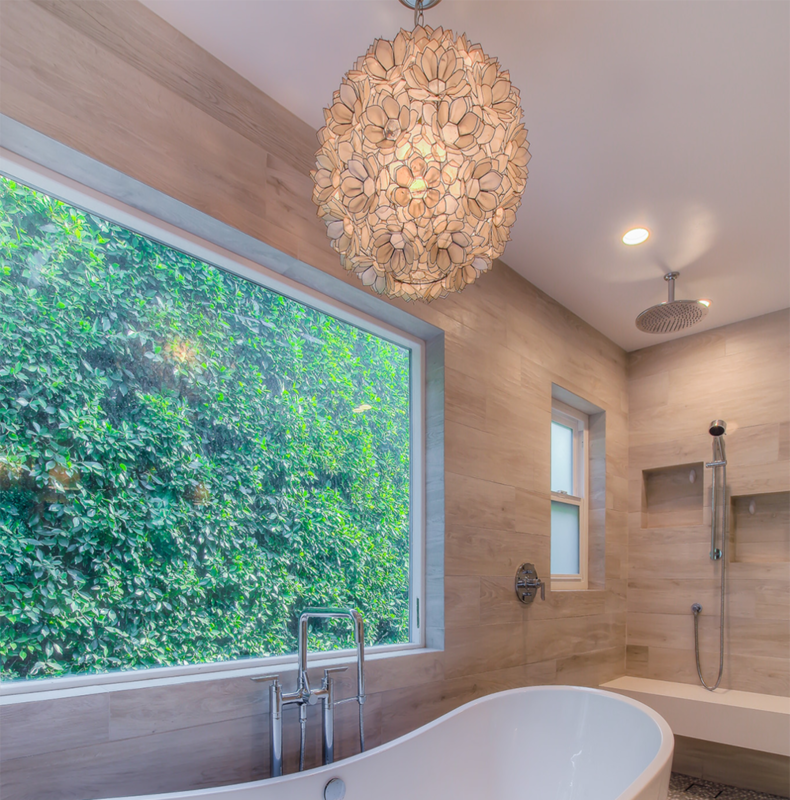 Make sure your bathroom is going to look just the way you want it before putting your Los Angeles remodeling contractor to work. Bathrooms have a funny way of having messes where you can't see them. Taking a thorough look around your bathroom before the remodel brings an enlightening view of how degraded some of the amenities really are. The problems may be innocuous, like a bit of water damage, but depending on your house they may be more extensive. Leaky plumbing, non-absorbent floors, faulty pipes, there's a whole slew of problems that might catch you by surprise. Checking for any faults in your bathroom beforehand will save you the heartache of being surprised by them later. You might not have considered your vents when remodeling your bathroom, but good ventilation is a must have for the bathroom. It provides some of the taken for granted niceties of the bathroom experience: prevention of mold and mildew, stopping mirrors from fogging up from a hot shower, and prevents wood decay and saturation; it means the difference between a miserable experience and a consistently great one. Make sure that the vent or fan in your bathroom is placed in the proper location to best work with the room. Knowing all the answers to this list will make the bathroom remodeling process a breeze, and will cut out a lot of the work for your Los Angeles remodeling contractor. Be prepared, and enjoy your new bathroom! Upcoming Lighting Trends for Your Kitchen Are you considering a kitchen remodel project this year? There are a variety of ideas you can use to help your kitchen look fresh and new without breaking the bank. Take a look at some of the upcoming lighting trend options you can discuss with your Los Angeles remodeling contractor. You can change a variety of things in the kitchen area without getting too expensive and still have a wonderfully fresh new look. If you want the look of sophistication and the functionality at the same time, then a chandelier would work perfectly in your kitchen or dining area. You can choose a vintage look such as brushed bronze or you can go for a more elegant look in a formal dining room such as the crystal chandeliers. You can even go for a more modern look with the very stylish centerpiece lighting fixtures. Not only do they light up the room, they also offer a beautiful decoration in the center of your area. There are many different designs and ideas to choose from and your Los Angeles remodeling company can assist you in finding just the right design for your kitchen setting. One thing you want the light in your kitchen area to do is liven up the whole kitchen and make it easy to see what you’re doing. By installing the bright fixtures that offer plenty of light, you’re able to see what is going on in the kitchen without struggling. These fixtures can be placed inside the ceiling, sitting flush with the ceiling, or they can hang from the area offering decoration and lighting. The choice is up to you! When it comes to lighting up your kitchen, you may not always need bright lights throughout the whole area. Perhaps you’re trying to work over the stove and you’re wanting light brighter there than the rest of the room. Maybe you’re putting dishes together at your bar area and do not need the entire kitchen to look bright. By having zone lighting you can control what areas are brighter and what areas have less light on during the time you’re using the kitchen. Another great idea is the newer feature lighting in your kitchen. Do you have a unique feature of your kitchen you want highlighted? If so this is a fantastic way to put the spotlight on! Feature lighting can go under the cabinet area and highlight your wet bar or other feature you want to see. It’s a wonderful way to have lighting in a concentrated area as well instead of lighting up the whole kitchen. When you’re ready to remodel your kitchen, don’t forget to consider the lighting in your area. You can use specialized chandeliers, feature lighting, zone lighting, and so much more. Your options are truly endless and are only restricted by your imagination and the budget you set. Have fun and explore your options today to remodel your kitchen!